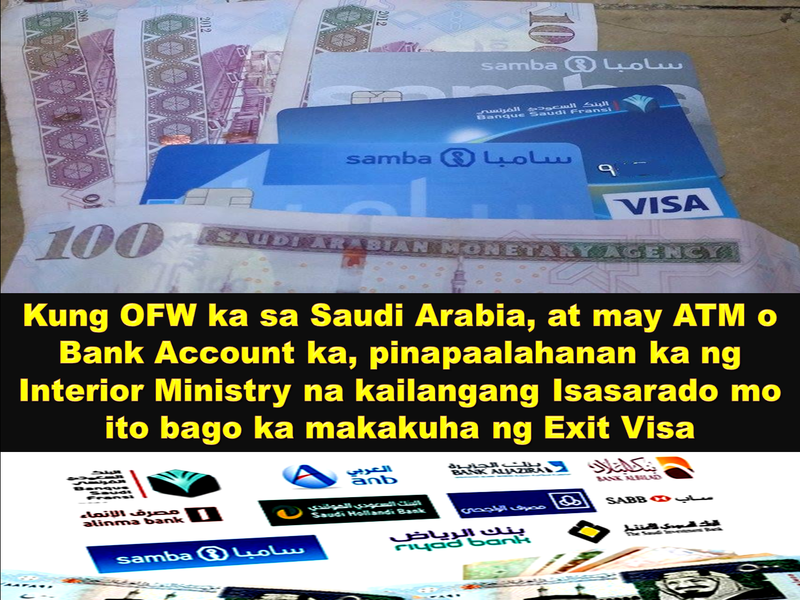 Expats and Overseas Filipinos working in the Kingdom of Saudi Arabia are advised to close their bank accounts prior to exiting the Kingdom. 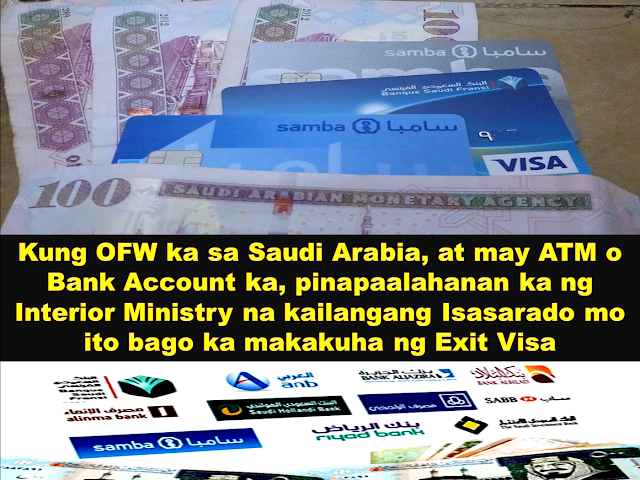 "The Interior Ministry (of the Kingdom of Saudi Arabia) has warned citizens and residents to be careful with their bank accounts by not allowing anyone to use their accounts for terrorism-related purposes. Specifically, security expert Nayef Al-Marwani said that these bank accounts remain a dangerous security breach and may help in the financing of terrorism electronically between individuals. He added that most cases of terrorism depend on such modes of electronic finance, which is proven to have been used to fuel the events of Sept. 11, 2001 in the United States. Al-Marwani said that it was essential that the parties concerned are made aware of this and make closing their accounts prior to departing the Kingdom a top priority. 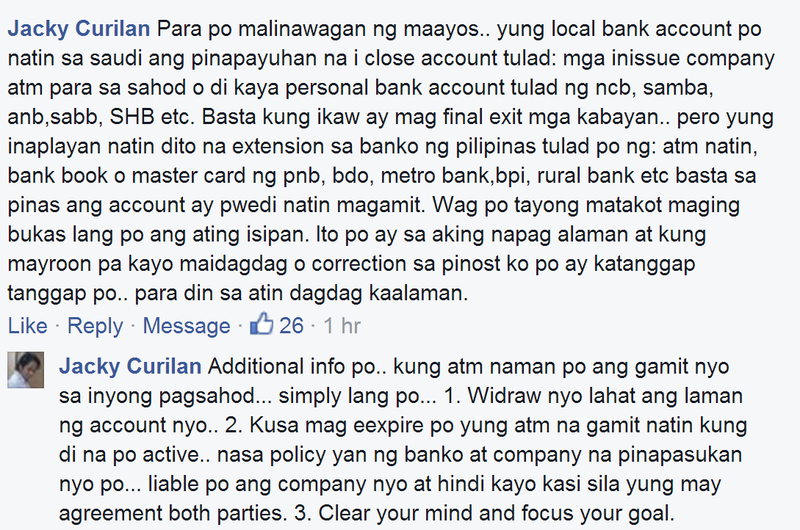 Al-Marwani also suggested that as soon as expats apply for their final exit visa, this should be contingent upon the person closing their bank account prior to the visa being supplied."